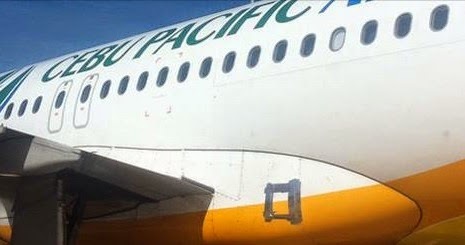 January 6, 2015 - Alleged Cebu Pacific airplane fixed with duct tape which photo became viral and trending online. The passengers were shocked and asked if they're safe with the duct tape only to fix the plane. The photo was posted in social media sites and grabbed the attention of netizens garnered thousands of likes and shares. 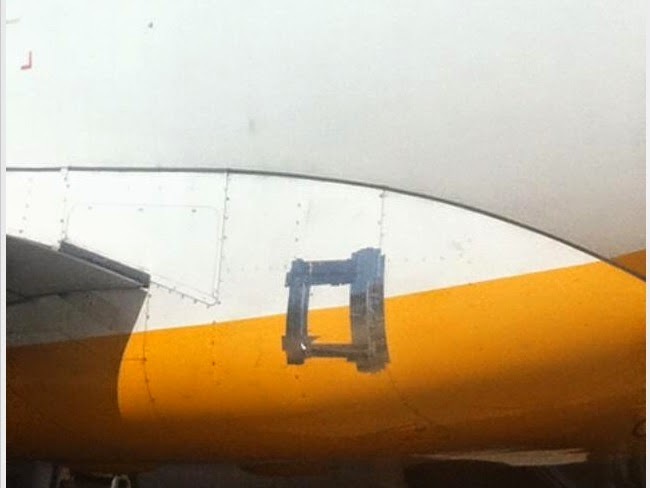 We've made some research and found out that what was attached in the plane was not duct tape but rather specialized tape used only for airplanes. It is called "speed tape" and it's very durable and safe. Passengers should not be panic on what you see because it's very safe to ride in Cebu Pacific Airplane. 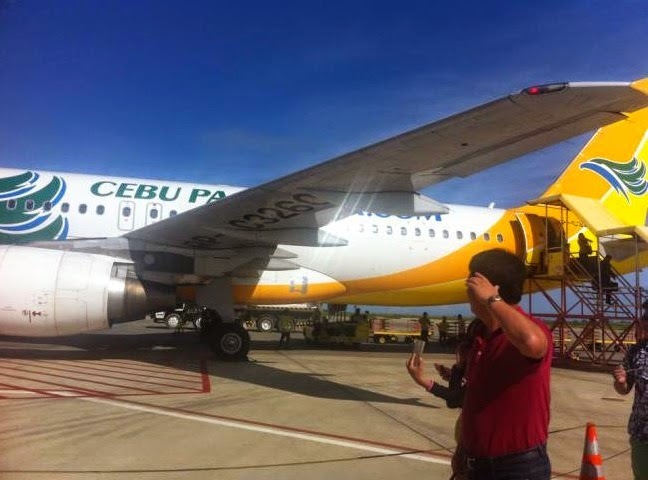 Infact, Cebu Pacific is one of the most trustworthy airline company in the Philippines.